I have sold a property at 495 58TH AVE E in Vancouver. GREAT FAMILY HOME located in central location with fully fenced oversized lot 34'x162' with lane access. Zoned for Laneway Homes the detached double garage and securely gated RV parking are perfect for extra vehicles. Interior boasts functional floorplan and upgraded finishing with 3 bedrooms up, nice kitchen with solid maple cabinetry, granite and SS appliances, living room, dining space and family room which is adjacent to your huge outdoor covered deck for all year round use. 4 bedroom basement currently generates 2200.00 per month with happy tenants. Turn Key: 50 year roof, fresh paint, new boiler and 60 gallon hot water tank. Close proximity to transit, shopping, golf course, Langara College, UBC and Canada Line. View 3D Virtual Tour. I have listed a new property at 495 58TH AVE E in Vancouver. Please visit our Open House at 495 58TH AVE E in Vancouver. Please visit our Open House at 194 51ST AVE E in Vancouver. REDUCED AGAIN!! It's a 10! Located at bustling 51st & Main this 3 bed, 3 bathroom 2015 build 1/2 duplex is ready for family or singles alike! The livingroom hosts a gorgeous white rock wall with modern fireplace insert, functional kitchen has beautiful stone countertops, stainless appliance package with stunning subway tile backsplash. Retreat to the master bedroom upstairs with a glass of wine and enjoy it on the private balcony. An additional 2 well appointed bedrooms completes the space. Detached single garage for parking and storage, great green space for furry family members or kids or summer BBQ's. Security camera entry system too! Walking distance to transit, shopping, multi ethnic restaurants. Open House April 2, 1-3!!! REDUCED!! It's a 10! Located at bustling 51st & Main this 3 bed, 3 bathroom 2015 build 1/2 duplex is ready for family or singles alike! The livingroom hosts a gorgeous white rock wall with modern fireplace insert, functional kitchen has beautiful stone countertops, stainless appliance package with stunning subway tile backsplash. Retreat to the master bedroom upstairs with a glass of wine and enjoy it on the private balcony. An additional 2 well appointed bedrooms completes the space. Detached single garage for parking and storage, great green space for furry family members or kids or summer BBQ's. Security camera entry system too! Walking distance to transit, shopping, multi ethnic restaurants. OPEN HOUSE Saturday March 11, 1-3pm! REDUCED!! It's a 10! Located at bustling 51st & Main this 3 bed, 3 bathroom 2015 build 1/2 duplex is ready for family or singles alike! The livingroom hosts a gorgeous white rock wall with modern fireplace insert, functional kitchen has beautiful stone countertops, stainless appliance package with stunning subway tile backsplash. Retreat to the master bedroom upstairs with a glass of wine and enjoy it on the private balcony. An additional 2 well appointed bedrooms completes the space. Detached single garage for parking and storage, great green space for furry family members or kids or summer BBQ's. Security camera entry system too! Walking distance to transit, shopping, multi ethnic restaurants. Come see us Saturday Feb. 18 1-3pm! 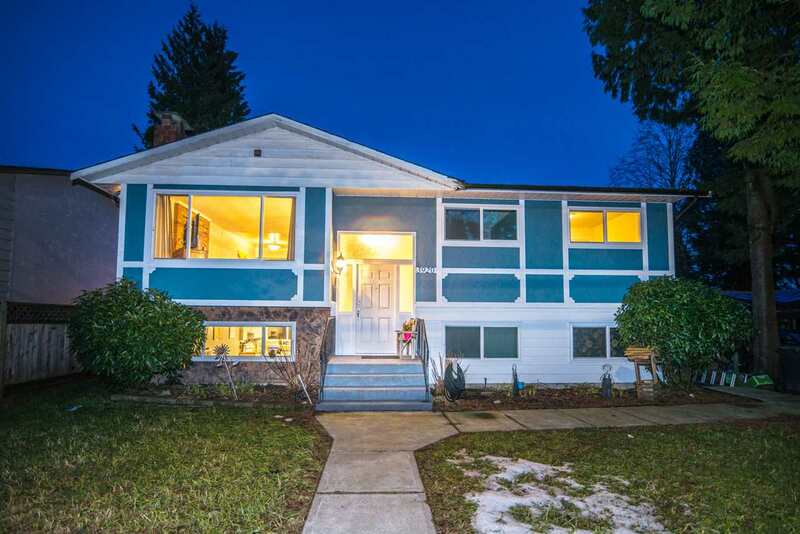 I have listed a new property at 194 51ST AVE E in Vancouver.